Iris is coming back home. From home. Her flight from Paris has just landed in Toronto. As she’s stopped by the Canadian customs officer who jokingly tests her knowledge of Canada, she remembers her dinner with friends in Paris, just the night before. With Iris’ fresh perspective of her love for her new home Canada, we get to remember why Canadians are so unique in this world. 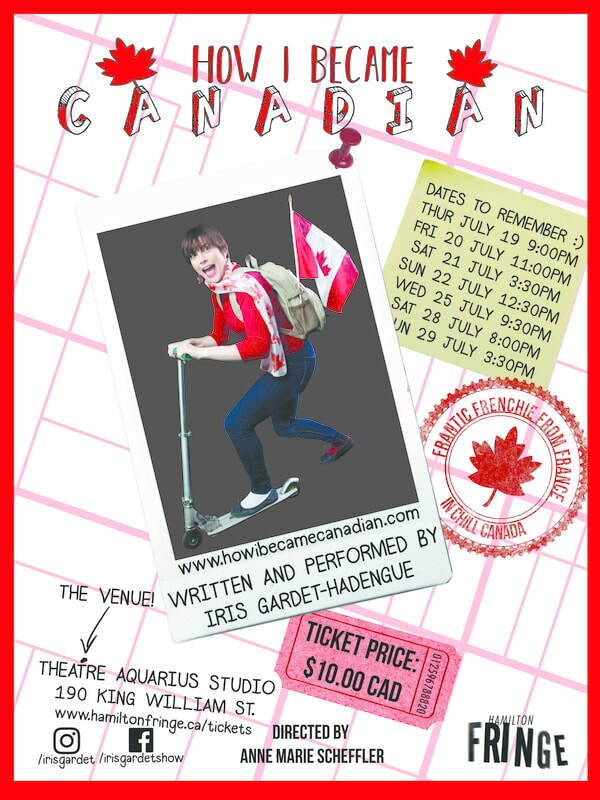 It’s a celebration of everything Canadian from a Parisian woman’s point of view. The show was at the Hamilton Fringe Festival in July 2018.